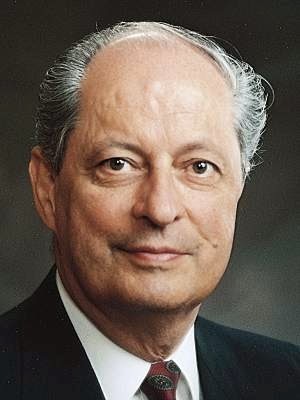 Elder Robert D. Hales (August 24, 1932-October 1, 2017) served as a Seventy from 1976 to 1985, when he was called as a member of the Quorum of Twelve Apostles. And we’ll both ascend together. "I have a very simple testimony. I know that God lives. I know that Jesus is the Christ. I know that we came to this life with a purpose and that the greatest joy we will receive will be those acts of love and service that we do for others. 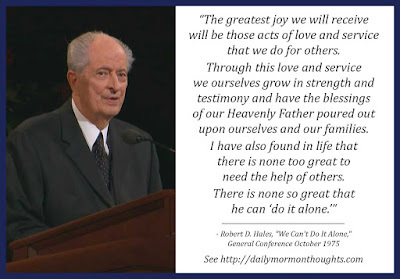 Through this love and service we ourselves grow in strength and testimony and have the blessings of our Heavenly Father poured out upon ourselves and our families. I have also found in life that there is none too great to need the help of others. There is none so great that he can 'do it alone.'" 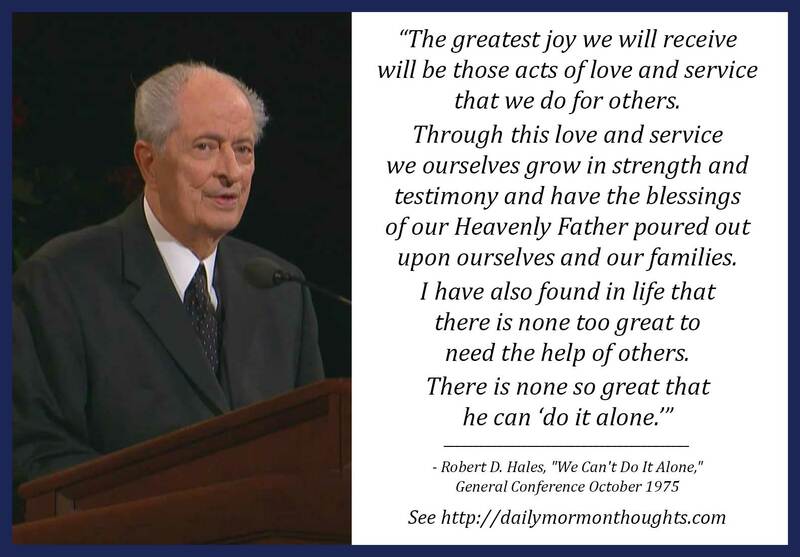 The testimony Elder Hales offers is not just that it's harder in this life when we try to "do it alone," but that it's not even possible; we require the assistance of one another. We learn lessons as we serve others that are critical to our own process of surviving the challenges of mortality, and coming out victorious. How diligent we should be in seeking that joy that comes in blessing others!